Front Message: Congratulations on the birth of your baby boy. Ten little fingers reach out to you.
. Inside Message: To help him take his first little steps, to help him say his first big word, and to help him catch his first little dream. 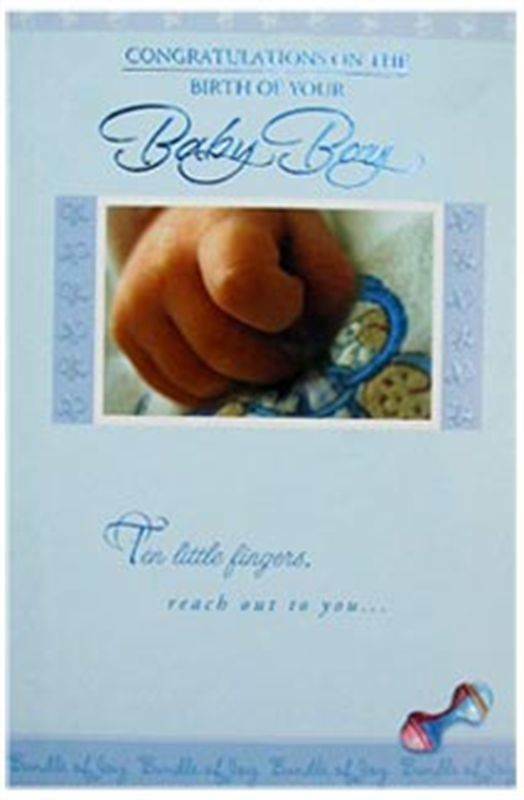 Enjoy this wonderful feeling of making a man out of your little baby boy Congratulations! !